This article was originally published on August 16, 2018 by UGA Today. The College of Family and Consumer Sciences will rename one of its buildings the Charles Schwab Financial Planning Center in recognition of the Charles Schwab Foundation’s generous financial support. In partnership with Schwab Advisor Services, Charles Schwab Foundation has committed $575,000 on behalf of independent investment advisors toward a major interior renovation project within the college’s Financial Planning Research Center, or “House B,” that will provide world-class facilities for training the next generation of financial planning professionals. The building, which most recently housed offices for financial planning faculty and graduate students as well as a conference room, was constructed in 1939. The name change was approved by the Board of Regents of the University System of Georgia at its meeting on May 15. In addition to the Charles Schwab Foundation grant, three independent advisory firms in Atlanta—SignatureFD, TrueWealth Management and Homrich Berg Wealth Management—have committed a total of $100,000 to the project. The renovation project will create three client meeting rooms with video and audio technology to record students conducting one-on-one and group sessions at off-campus locations; lab space for students to conduct self-observations; and additional office space for graduate students and faculty. The renovation will triple the space currently available for a program that is growing in enrollment by 25 percent each year. 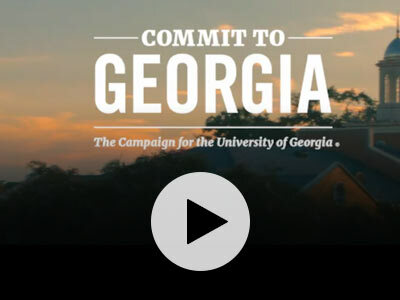 In addition to the gift from the Charles Schwab Foundation, the University of Georgia and the college have committed funds. Additional private funds will complete the nearly $1 million investment in the program’s facilities. The financial planning program within FACS is fully accredited by the CFP®board and has been ranked as one of the top 10 programs in the country by Financial Planning Magazine.